Throughout Bey's whole pregnancy Ive been really skeptical of referring to Blue Ivy as Baby Carter.. and for 1 reason- Lil Wayne and Toya's daughter has already coined that! When I think of Baby Carter I automatically think of Reginae-even on here.. that label belongs to her. So for the sake of clarity and respect, I found other ways to refer to Jay & Bey's new bundle of joy when I could resist the urge! The other day as news was spreading that Bey was actually in labor I kept seeing Baby Carter all over my timeline, I started to think about the two little ladies and just how similar they are and how much little Blue Ivy can learn from Ms. Reginae. For starters, both girls are daughters of arguably the greatest rappers/moguls to ever do what they are doing. Jay Z (Shawn Carter) & Lil Wayne ( Dwayne Carter) for many reasons have been rivals in the game. Not so much because they dont like each other (those speculations are out there.) but mostly because they are so great at what they do. 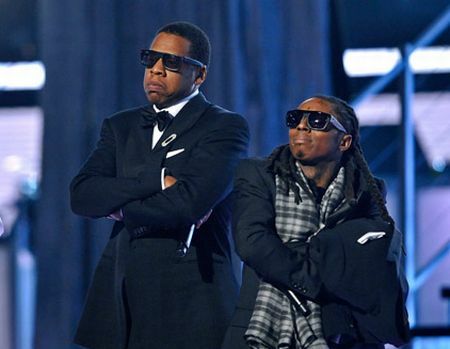 There was a time I remember when nobody mentioned Waynes name with Jay Z. It was always Biggie, Nas, or Tupac, but at some point that changed. Now, in many "fave rapper debates" the question is- 'who's better- Jay Z or Wayne.' With the overwhelming success of her father constantly over her head, Reginae seems to gracefully float through life as a normal little girl. Any media Ive seen (even a show that envaded her very personal life with her mom Toya) she still remained a little girl. Reginae is probably the best example Blue will have of how to navigate through life with such a famous dad. Doesnt stop there though, as we all know just a few years ago nobody knew who Reginae's mom was. I just remember hearing rumors that Wayne was married to his daughters mom. Then came a commercial on BET about a show that would profile T.I's love and the mother of his youngest 2 children singer/songwriter Tiny.. and Wayne's baby mama Toya. Now just writing that makes my skin crawl for many reasons..mainly because thats exactly how the media portrayed it. It was like, there is much to talk about Tiny for, but why are we talking about Toya? It wasnt long before the world realized why Wayne fell in love with Toya and that she was much more than just his Babymama. In recent years since the show, Toya has remarried the "love of her life" Memphitz, become a Best selling Author, opened up Garb Boutique, started a mentoring program for young girls, dabbled in rapping, and synonymously managed to be a huge inspiration to thousands of young girls around the nation- does the latter sound familiar? Of course! One of the most influential people of our time is Blue's mom Beyonce. Now before some of you Toya haters start fussing about me comparing Beyonce and Toya.. Im comparing them for the sake of this post..they are two different women on two different career paths. One thing is clear though, they both have been very successful and married to very successful men who they have had ( we may as well say it) very succesful little girls with. Blue will have to learn to live in the shadow of a mom who is a boss and the envy of many women.. thats what Reginae has been doing for 13 years. She compliments her mom, and realizes at the end of the day that Toya is her mom first. Ive watched her gracefully dismiss her mom's haters on twitter like a veteran in this business. She's not moved to react to the people who cant handle her mom's success. That type of maturity is what Blue will definitely need when she gets of age, people will still be hating on Beyonce by then guaranteed! One of the things Ive been impressed with by Baby Carter I ;) is her ability to find her own way. She's a little star. She can rap, sing, and Im positive with that energy act as well. She has her own unique ( and rather expensive) sense of style as well. Amongst such famous parents she's not only kept her head-but she is making strides to find her own success. This is intriguing, because regardless of whether she ever does anything- she's straight. But she's not too shy in letting the world know that Baby Carter is an artist all to herself. Both of her parents have bragged about just how talented she is. 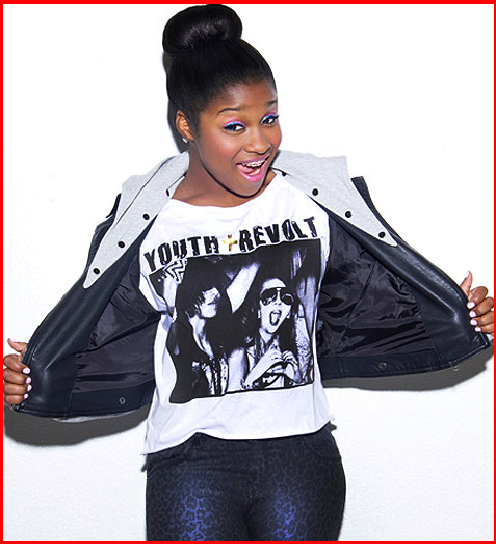 As one of the original OMG Girlz Reginae flourished as 1 of the rappers in the group along with her bff Lolo. Now that she's not in the group she's been rumoured to be working on her own project or even her own TV show maybe! Whichever way it goes..she has a huge following that I honestly feel are HER fans. Not her mom or dads... hers. Baby Carter II will have to find her way amongst the celebrity of her parents and Baby Carter I is a great example of how to do that even at 13! What strikes me most about Reginae is, Ive met her twice, and even in her presence, she's just a sweetie. The last time I met her I could tell she was a bit over taking photos and such, but she went ahead and took one with me for my post on her mom's book release. The way she spoke to everyone who spoke to her, and was not rude even to me was commendable. The first time I saw her was at a similar event. She was the same. Very cordial, respectful, and most of all understanding. I know grown celebrities who dont know how to practice that with their fans/admirers/media yet. So for a child to handle it with ease, I think is just great. Its going to be vital to whatever Blue wants to do with herself, that she keeps a level and respectful head as Reginae has done. She'll need lots of patience with people and know how to navigate around them. Im sure Reginae has noticed by now how many people wish to be around her because she's famous. Discerning who wants to be around her because of who she is as a person and not what she can do for them is going to be so important in her life. It will be important in both Baby Carters' lives. I wouldnt doubt that at 13 Reginae is still trying to figure that part out, but she's so wise for her age..I dont think it will take her long. All of these accomplishments as a person/artist that Baby Carter I can pass on to Baby Carter II say a lot about her, but they say more about her parents and her upbringing. As I started saying, both Baby Carters come from very famous parents. One thing I love about Toya & Wayne as parents is that they seem to find the best balance in letting Reginae run free and protecting her from her youth and people's craziness. They encourage all of the gifts she has. They invest in them as well. They speak highly of her. They encourage her and build her up. They spoil her because they can, but they give her solid advice and boundaries to help her grow in other ways. Its clear she adores them. When your 13 yr. old adores you, its waay easier for them to talk to you about the stuff that matters-feel me? 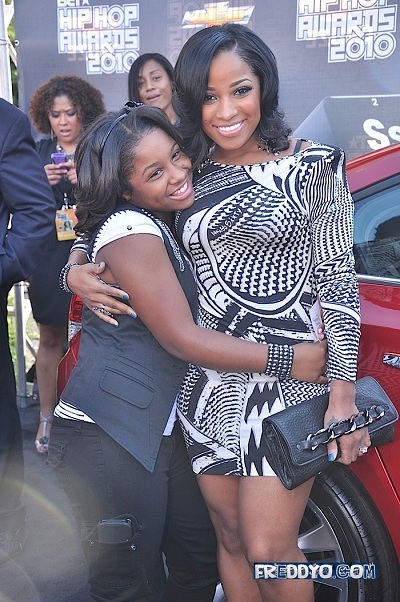 In Toya's book Priceless Inspiration she talks about how much Reginae's life has influenced and changed her own. Many of the strides for betterment on her part were because she wanted to be a better example for Reginae. Wayne hasnt had a perfect life either, but he's always made it clear that he is honest with his daughter and wishes her the very best. 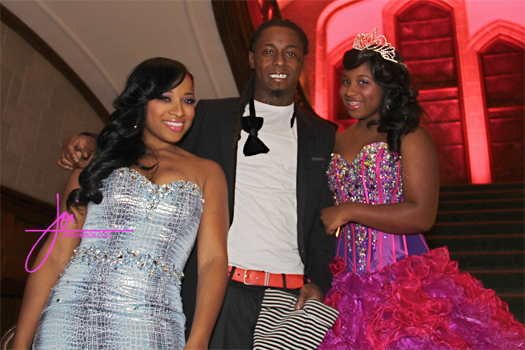 Goes without saying that Wayne & Toya can teach Jay & Bey just as much as Reginae could Blue. Great people start with great parenting..from somewhere. It doesnt always come directly from biological parents as it has in Reginae's case, but it still is vital. Well, so much for keeping this short and sweet. I just thought this was a cool way to welcome little Blue into the world... her own little real life blueprint in Reginae. Im excited about where these 2 little ladies are going to go in life. They have the world at their feet and Im encouraged to believe that they'll do whats best with it. I hope Jay & Bey can look at Wayne & Toya's success as parents- their mistakes and accomplishments. Im sure they can gleam from how Reginae is turning out and get some insight on how possible it is to shield their daughter from the craziness that they know all too well in this industry. Salute to Baby Carter (Reginae) for being such a great example and making this post so easy to write. Salute to Baby Carter II for making such a grand entrance! Cant wait to see what both of them will do in the future. Most of all salute to Wayne & Toya for your most important accomplishment-being great parents..you made this easy to write too!